Discussion in 'Price Drops, Must-Have Freebies, and Deals' started by Habakuk, Jan 26, 2015. 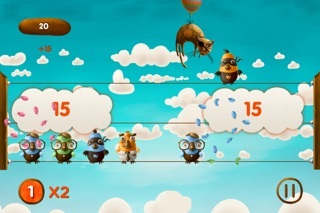 You are now looking at a new funny and cute matching game for kids and parents. Note: this is an iPhone-only version of the game. 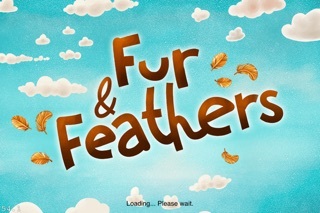 If you like to play it on your iPad, please download "Fur and Feathers HD" instead. It is designed for iPad and comes with full support of amazing Retina display of the new iPad, and is also compatible with iPad and iPad 2. 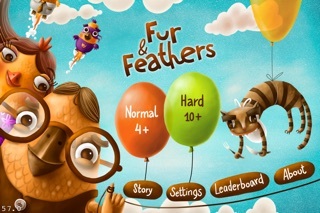 Game Features: ★ Two game modes Easy - for children from 4 years old Hard - for children from 10 years old and up to 99 ★ Jump, Move and Match the birds You may match birds by color or type. 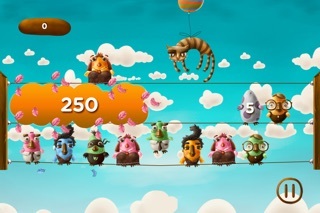 The more birds you match, the more points you get! 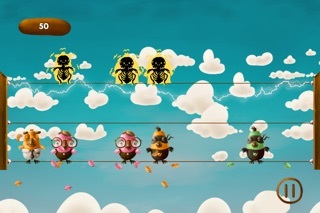 ★ Be aware of cats A Сat can eat one of the birds from the first wire paired by type or color ★ Fever mode Achieve fever mode to have points multiplication ★ Tic-tac Egg An Egg is explosive, you need to match it as soon as possible with any two paired birds ★ Sparkles If you see it, touch quickly to have high-voltage discharge and clear the wire ★ Team play This game supports multitouch. So you may play both hands or even together with friends. ★★★ Let`s play the very jumping match-3 game in AppStore history!